Photo 49: Cover page of 1912 book. For fiscal year 2017 and each fiscal year thereafter, no person shall conduct any research, exploration, salvage, or other activity that would physically alter or disturb the wreck or wreck site of the RMS Titanic unless authorized by the Secretary of Commerce per the provisions of the Agreement Concerning the Shipwrecked Vessel RMS Titanic. The Secretary of Commerce shall take appropriate actions to carry out this section consistent with the Agreement. Under Article 4 of the Agreement, each party is to take “appropriate actions” to enforce measures taken pursuant to the Agreement against it nationals and vessels flying its flag and to prohibit activities in its territory including its maritime ports, territorial sea, and offshore terminals, that are inconsistent with the Agreement. This legislation builds upon previous legislation that called for the International Agreement and the Guidelines for Research, Exploration, and if deemed appropriate, salvage of Titanic. Shortly after the Titanic was discovered in 1985, Congress enacted the "R.M.S. Titanic Maritime Memorial Act of 1986" (1986 Act). 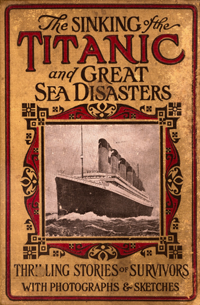 The 1986 Act called on the United States Secretary of State to negotiate an international agreement to designate the Titanic as an international maritime memorial to those who lost their lives when she sank in 1912 and to encourage in those negotiations the development of guidelines for conducting research, exploration, and salvage of the Titanic. The United States, the United Kingdom, France, and Canada negotiated the "Agreement Concerning the Shipwrecked Vessel RMS Titanic," (International Agreement) ratified by the United Kingdom in 2003 and signed by the United States in 2004, subject to the enactment of implementing legislation. Legislation providing the Executive branch authority to carry out the obligations of the Agreement is necessary for the United States to ratify the agreement. The International Agreement will take effect after at least two countries ratify it. Legislation implementing the agreement is not expected to have a significant impact on the federal budget. See Congressional Budget Office scoring of S.2279. In 2009, the United States Department of State transmitted to Congress proposed legislation to protect R.M.S. Titanic from looting and unscientific salvage and ensure adherence to the scientific rules for research, recovery or salvage that will help preserve the R.M.S. Titanic for present and future generations. This resulted in a bipartisan bill "R.M.S. Titanic Maritime Memorial Preservation Act of 2012 (S. 2279)". R.M.S. Titanic Maritime Memorial Preservation Act of 2012 (S.2279). A bill to amend the R.M.S. Titanic Maritime Memorial Act of 1986 to provide additional protection for the R.M.S. Titanic and its wreck site, and for other purposes. R.M.S. Titanic Maritime Memorial Preservation Act of 2009. A bill to amend the R.M.S. Titanic Maritime Memorial Act of 1986 to implement the International Agreement Concerning the Shipwrecked Vessel RMS Titanic.